As you enter the beginning stages of your life at Lafayette, you probably have so many questions running through your head: Will I get along with my roommate? What clubs and activities should I join? And last, but not least, where do I eat on campus? Luckily, Lafayette offers a variety of food options. Here’s a breakdown of each place. Upper Farinon is one of two main dining halls. Located on the second floor of Farinon College Center, Upper is styled as an all-you-can eat buffet featuring a salad bar, full deli, taqueria, pizza, pasta, and comfort food as well as an extensive vegetarian, vegan, and gluten-free section. Tip: Upper is a great environment for you and your friends to sit down and chat; however, its lively atmosphere also makes it crowded, especially during dinner. The best time to go is usually at 9 a.m. for breakfast, 12:30 to 12:45 p.m. for lunch, and 6:30 to 7 p.m. for dinner. Marquis is the other main dining hall. Similar to Upper, it is an all-you-can-eat café featuring breakfast sandwiches in the morning, chef specials, a salad bar, a full deli, and a crêpe station. It offers plentiful vegetarian, vegan, and gluten-free options. Tip: Breakfast is pretty popular at Marquis, so if you’re in the mood for a crêpe, omelet, or breakfast sandwich, make sure to get in line early, definitely before 9 a.m.
Lower Farinon Commons, or “Lower,” serves Asian and Italian cuisine, and features daily “Global Departure” meals that provide a taste of different cultures. 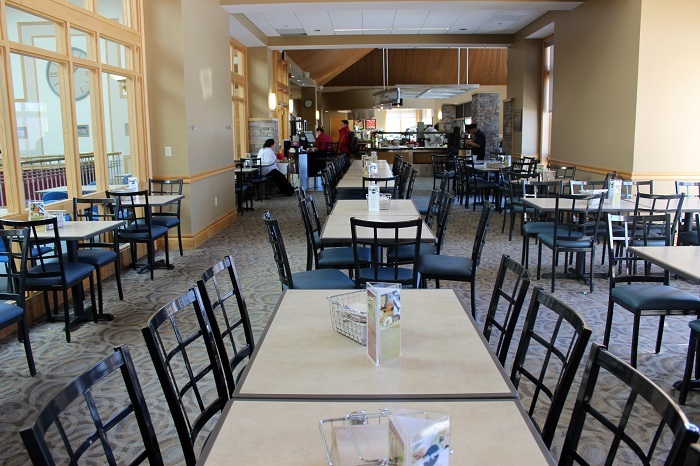 Named one of the top 10 college dining halls in USA Today College as part of Spoon University’s Official College Dining Hall Guide, Lower offers students quick to-go meals and also serves as a convenience store for snacks and drinks. 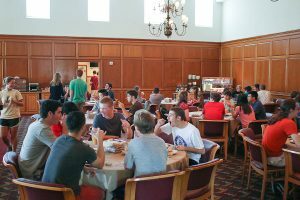 Tip: Lower is a great place to grab a meal to eat on the Quad or have a quick get together with friends, but be warned, it can get crowded during lunch hour. If you’re in a rush, get pre-made to-go items or order things that can be made quickly, like sushi or a salad. Located in Kirby House, Gilbert’s Café is a Panera-style dining hall that offers all-day breakfast options as well as smoothies, salads, soups, sandwiches, flatbreads, and pizzas. These made-to-order meals are served in a cozy atmosphere that is a great place to study and relax. Tip: Gilbert’s food is freshly made, so after you order, you’ll wait for your buzzer to ring before you can grab your food. It’s best to go when you have a few minutes to relax or need a place where you can eat and study in order to optimize your time. 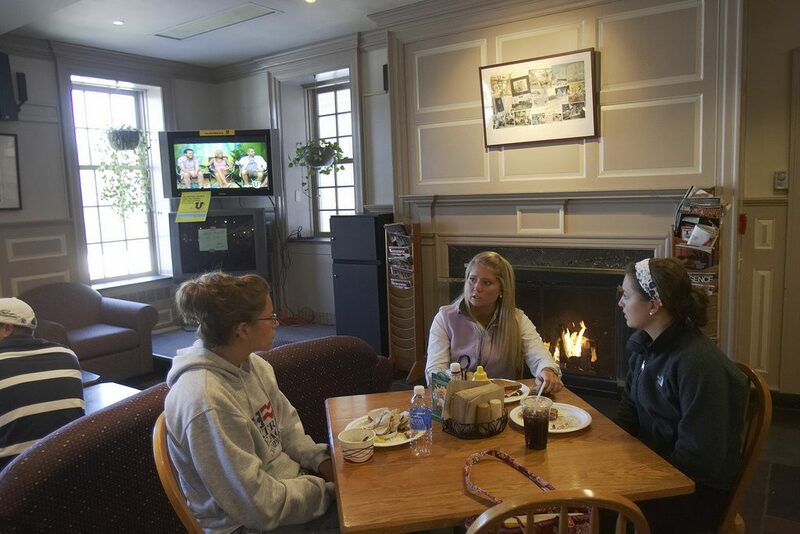 Considered a hidden gem on campus, Simon’s is a dinnertime haven. Tucked away below Kamine and next to the Fishers, this dining hall allows you to build your own sandwiches and flatbreads, or simply pick one of the items off the menu if you’re overwhelmed by the choices. Tip: Due to Simon’s limited hours, the line can be a bit long when the doors open. Don’t let it discourage you! The food is worth waiting for and the line goes pretty quickly. The best thing to do is either get there a few minutes before opening time or wait until rush hour passes, after 7 p.m.
Skillman Café is essentially the coffee hub for students studying in the comfort of the library. 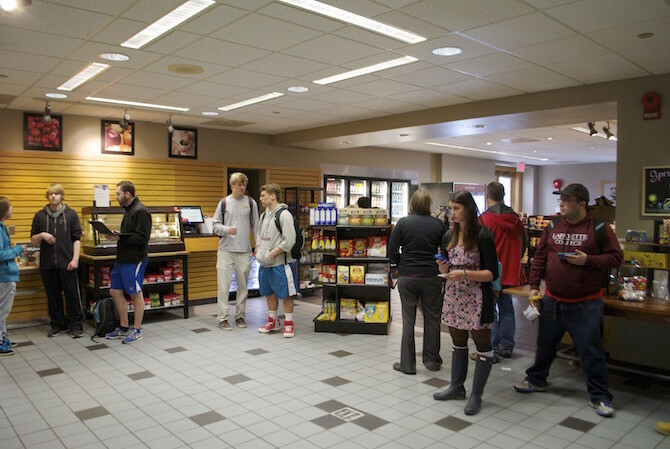 Skillman’s is the only place on campus that brews Starbucks coffee as well as other made-to-order beverages. This café also offers express meal options like sandwiches, wraps, salads, yogurt, and more. Tip: Take advantage of the space at Skillman’s. 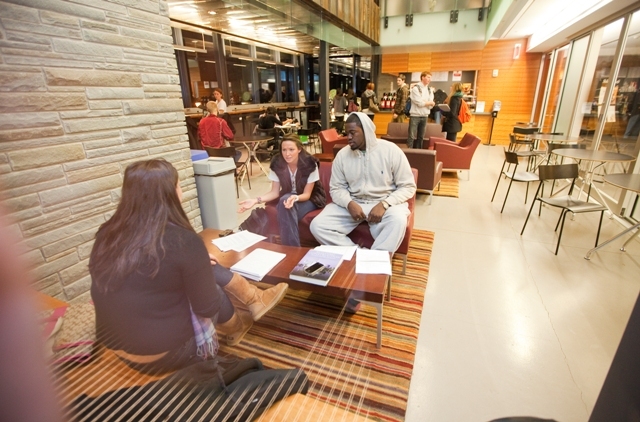 Since the café is in the library, the area is a quiet refuge to study or crank out work while also providing the caffeine fix every college student needs. 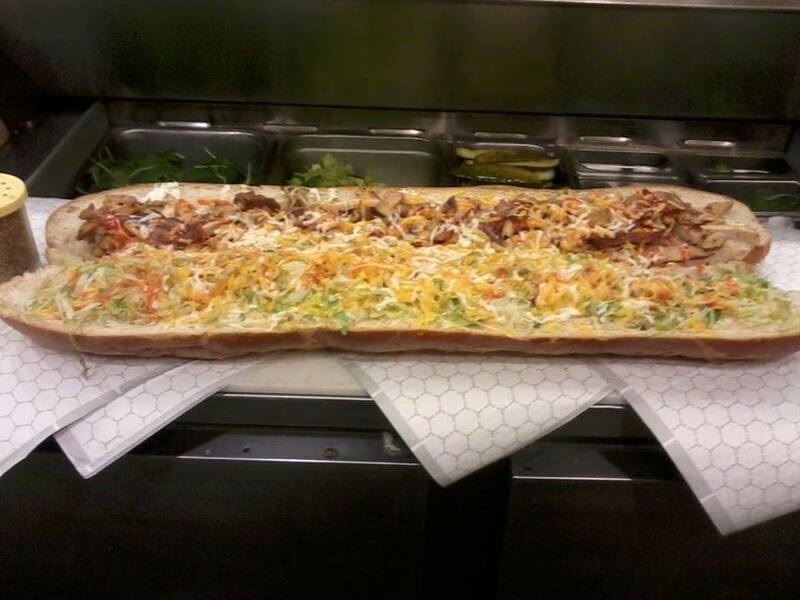 Bottom line: You’ll be well fed at Lafayette. You should also keep an eye out for seasonally exclusive and special food items in the different dining halls. For food-related updates, check out the Dining Services website and Lafayette’s Spoon University Chapter.